Many patients use osteopathy as a preventative measure to avoid low back pain. If you’ve had low back pain before then you will know it is a big motivator to not have it again! Time after time I hear the same story from patients. They come in for treatment when they are in pain, get fixed and don’t come back until the next painful and debilitating episode. And they say to me “I wish I had come back earlier!”. The reality of back pain is that it can really get you off track with your daily living. Being in pain is stressful! It can make you snappy and grumpy and generally fed up! Your health really is linked to your daily happiness. It is also linked to your wealth too and I really think this should be mentioned as it is a major consideration with lots of my maintenance patients, particularly those that are self-employed and have to work to pay the mortgage. When you are in acute pain and have to have a week off work with no pay it’s not funny. I have many patients come to see me very regularly to prevent this occurrence happening because they have previously been forced to have unpaid time off work due to back pain and will never let it happen again. The time and investment in their regular osteopathic spinal health check up’s is insignificant compared the pain and time off work they previously experienced. A few years ago the second largest cause of time off work was musculoskeletal pains, like back pain. The first was colds and flu. More recently this has shifted to stress as number one, then colds and flu, then body pains. 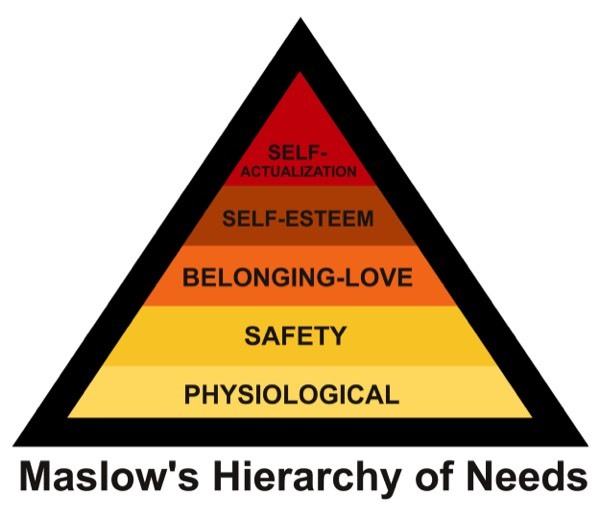 Recently, I came across this pyramid called Maslow’s Hierarchy of Needs. It wasn't in any relation to health actually and I had never seen it before, although it is a well known theory. I was excited when I saw it because it shows that your health really is the most important thing in your life and if you don’t have it you can’t enjoy many of the other important things in life, even very basic self-needs, like safety and being in love! After all, if you are in pain or unwell you aren’t usually brimming with loving thoughts! 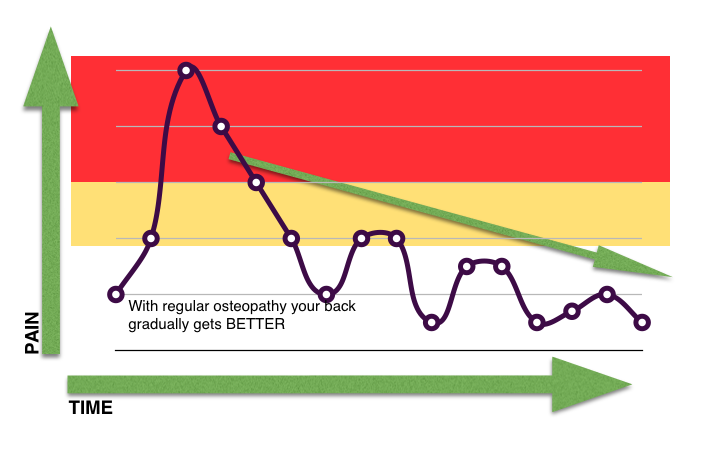 Here is something else I always hear “This regular osteopathy treatment is really working, I haven’t had a bad issue since having regular treatments with you”. I can hand on heart say that regular osteopathy treatments are preventative of acute back pain episodes and if the occasional niggles crops up here and there we are on top of them really quickly and your spine recovers easier and quicker with less pain or any time off work. There is science to back this up too, if you like the science angle. It has been researched that having spinal treatment, whilst NOT in pain, beneficially corrects the nerves and muscles in the spine and RESETS them when they are incorrectly firing which could cause an issue potentially in the future. It’s like running a “clean up” program on the hard drive of your computer. And this is what is behind most pain, a lot term muscle tension that causes you to alter your posture or change the way you move. I love getting people out of pain, it is obviously satisfying to my patient but also to me of course, I have done a good job! But what I love just as much is when a patient comes to see me and I say “How are you?” and they reply “I’m fantastic, no problems at all!”. I have done my job to the best of my ability and I have educated them too. They have come to see me even though they aren’t in pain. I can now treat their back and make it EVEN HEALTHIER! This means they are getting farther and farther away from the point of pain happening again, it also means their spinal and overall health will be improving. It’s a pleasure to treat a healthy back and make it even healthier. You see the main aim of treating a spine in pain is really to stop the pain as quick as possible; at this point it isn’t really about improving long lasting health. But it is so much more important to treat a spine into better health than just out of pain. 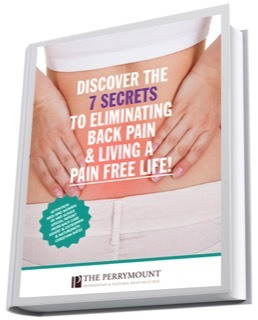 Do you think that once you spine pain has gone than you are better? That there is more under the water than above it, right? And that is like back pain. 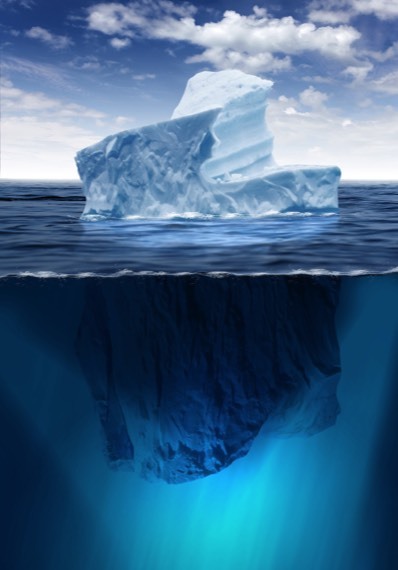 When an osteopath treats the pain they are treating the tip of the iceberg. The maintenance and future appointments when you visit WITHOUT pain gives us the opportunity to treat all the other issues below the surface. This means you can turn your neck better when driving the car, bend easier when gardening, sit at your work desk without aching, lift your children without low back pain, have an easier golf swing or improved running or sports performance. How does a spine get in pain? 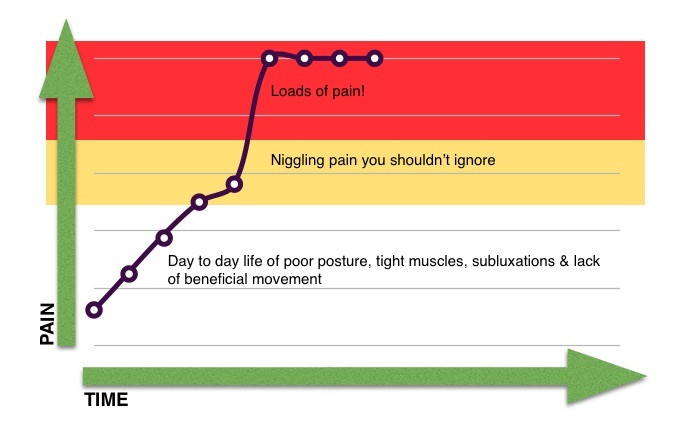 Have a look at this diagram it shows how 90% of people get in pain with their back. The red area is acute pain and below that in yellow is where you get some niggling warning signs. The white area is no pain. The line is illustrates how dysfunctional your back is being through day to day life. By dysfunction I mean poor posture, lack of movement, tight muscles and “subluxations”. Subluxations are the joint restrictions that osteopaths feel for that indicate problems in the movement of the spine. These then relay dysfunctional signals into the nervous system and brain which detrimentally alters your health and physiological functioning. I’ve written more about this in my free ebook download at www.midsussexbackcare.com. The most important part of the dysfunction line in my opinion is where it rapidly jumps from the yellow area into the red area.This is where a niggle sky rockets into acute pain. It is also the “last straw” or the “straw that breaks the camels back” because the movement that typically creates this big jump into loads of pain is something ridiculously simple like bending to pick up a pencil, lifting a cup of tea or making the bed. 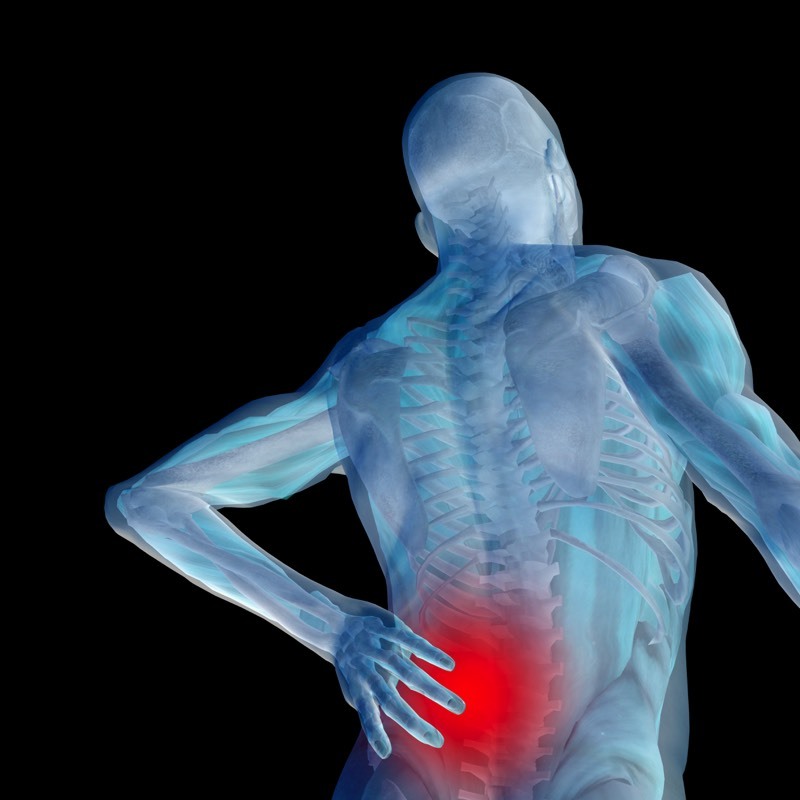 So why does something so small create agonising back pain? Well that is answered by what is happening in the white zone, where you aren’t suffering pain but your back is gradually picking up micro-injuries that you can’t feel. In this pain free area you need to be looking after yourself. Having a good posture, sitting at work well, taking on board good food and water nutrition and I absolutely believe having regular osteopathic treatment to keep your spine healthy. Other beneficial activities in this area to prevent going into the yellow and then red zone includes Pilates, yoga, Tai Chi, back care classes, Dynamic Movement Stability classes etc. What happens to my back when I only get treatment when I’m in pain? Now have a look at the next diagram. This how most patients start out, which is fine, it's the natural way to start. 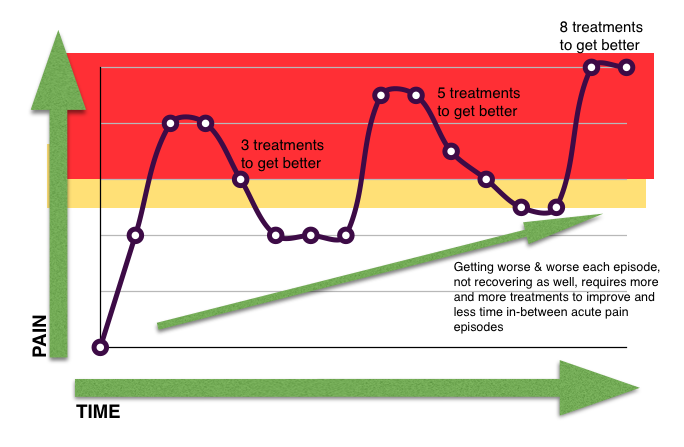 It illustrates how treatment helps you get better, then the issues build into pain again which get fixed again with treatment and then builds again and gets fixed again and on and on. But note how each episode takes more treatments to get better as it gets a little bit worse each time and usually there will be less time in-between each one too. At each stage the osteopathy really helps and the pain goes but it doesn’t really give the spine the chance to get even better. The treatment is just re-setting the spine back to how it was just before the injury or pain occurred. On top of this lots of compensation mechanisms occur in the spine, for example a new acute neck pain might actually be due to a long term, old low back injury. Or very commonly a knee pain is actually due to a long term, chronic low back or pelvis problem that has been fixed. Just having treatment to get out of pain is the tip of the iceberg like I have mentioned then. The follow up treatments allow the osteopath to look at the other CAUSES and compensations that are behind the actual painful injury site. How do I PREVENT getting in pain with osteopathic treatment? This then is the ultimate goal; to not even have the pain occur, or in the very least if niggles crop up they are easier to get better, improve faster and cause less pain and disruption to daily family and work life. To do the you must pro-actively look after your spine. Day to day life takes it’s toll my tightening muscles, stretching ligaments and causing spinal restrictions and “subluxations”. These can be “iron-out” by having regular osteopathic treatments. Other activities like Pilates or Yoga or backer classes will also help although these may not be able to focus specifically on tight areas like an osteopath will be able to. The next diagram shows correct preventative and maintenance treatment. Your spine may go up and down and get into the yellow “niggle" area but the frequency of the treatment is such that it resets you back to being better again and you never reach the red area of acute agony pain. If the timing is really spaced out for you and you also do other beneficial lifestyle changes then there is no reason why your back shouldn’t get BETTER & BETTER! With less and less chance that injuries and pain will occur in the future. How often should I come for pain prevention osteopathic treatments? Frequency of healthy spine treatments depends on your lifestyle and job etc. If your are a heavy labourer or work at a computer all day then you will both need more regular treatments, maybe weekly or bi-weekly whereas if you have some healthy movement in your life you may maintain a healthy spine at monthly appointments. Our osteopaths will give you their professional and honest advice for the best of your health. Only in the most acute condition do osteopaths see patients twice per week and the aim is to get you out of pain as quickly as possible with the minimum of treatments. Finding the correct prevention and maintenance frequency is an open conversion between your osteopath and yourself to find where you are happy. We offer prevention & maintenance packages that are at a reduced price as a thank you for trusting us to look after you.